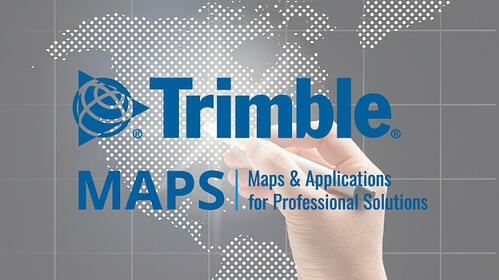 Did you know that Trimble MAPS creates and updates our own proprietary North American map data and road network? Our team of over 100 GIS and mapping and routing specialists around the world have built and maintained a premium-quality, street-level digital map of the North American road network for over 35 years! Every day, the team inspects our digital roadways to ensure new roads are added, changes to existing roads are updated, and that attributes for height, weight, turn, and load restrictions are accurate. In 2018 alone, our team executed over 20 comprehensive map data releases, including our annual North American and worldwide updates. We are continuing full steam ahead in 2019 and we’ve anticipated the need for even more map development speed thanks to our newly developed “Autonomous Builds”. This sophisticated and highly integrated system of chained operations is responsible for building, processing, and transforming the latest map data into a data set that our products run on. We are a big data company and our mapping and routing experts have established a new infrastructure to support the high volume of GPS pings, tools, and algorithms that are vital in keeping our map data updated. Weight limits were updated in Alaska, Arizona, British Columbia, Idaho, New Jersey, Pennsylvania, Utah, and Washington, D.C. While our proprietary map data is usable for all types of vehicles, we put a special focus on commercial vehicles. This is proprietary North American map data that you won’t get anywhere else. We’re committed to ensuring every driver and vehicle on the road has access to the best possible routing and navigation. NOTE: Data updates may be made available in different Trimble MAPS products at different times. The type of data available also depends on your licensing. Please contact us if you are unsure of your data licensing.